We have been hearing many “narratives” of Sikkim Earthquake since its occurrence on September 18th. The spectators, or we may say the narrators, whosoever they may be, exaggerate the events in such a way that the real things remain behind curtail because of their overstatement. I also have heard similar exaggerated narratives from some people after the earthquake. 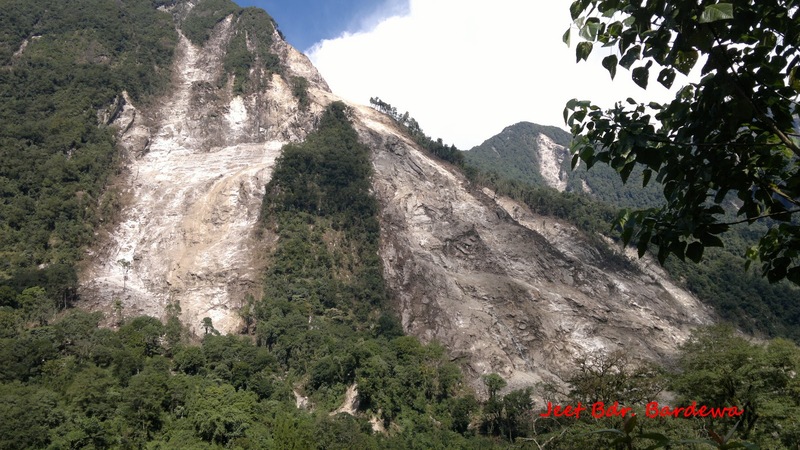 Few people of my village Assam Lingzey told me that it is “impossible” to reach some places like Sakyong, Thulung and Bey in North Sikkim due to the massive landslides. They were very much correct in their sayings and possibly they were averting me from going there in the midst of Dasain. It was a challenging task for all of us to reach there. But, as we reach there the “narratives” were different. In fact, we had a face to face contact with the vinegary realities of earthquake in Bey. We were already aware from the fact that the village called Bey in north Sikkim has been abandoned by the villagers and they were now living at a Relief Camp at Char Mile. 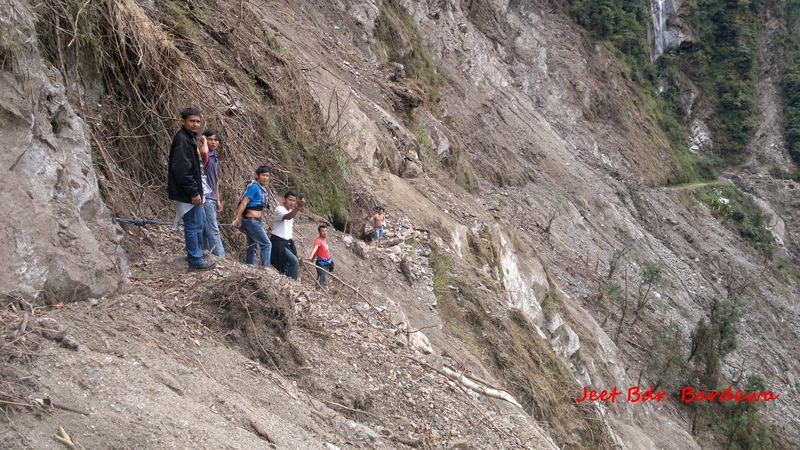 Even though, we decided to go there to see the enormity of the huge shake which has thrilled the entire state of Sikkim. In the evening of 7th October, a native of Lingzya had come to our camp at the Panchayat Bhavan of the village. 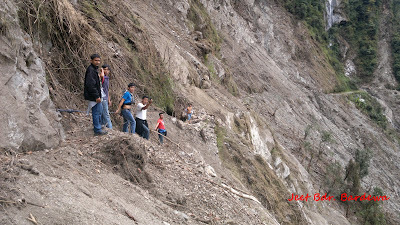 He told us about the death of a 16 years old girl at Bey due to the landslide after the earthquake. 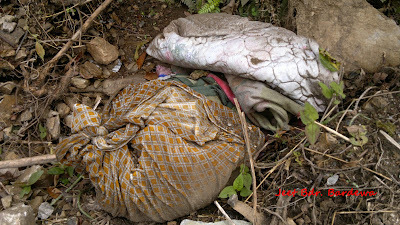 She was Lakit Lepcha, a student of Class VII of Lingzya Jr. High School. She was a smiling and a beautiful child and was staying at Lingzya with her friends. On 18th September which will be remembered as a “Black Day” by every Sikkimese in the coming days, she asked her friends to visit her house at Bey to have Momo (a traditional Tibetan dish mostly popular in the entire Himalayan region). Her friends refused to go with her and they stay back at Lingzya. After their refusal she took a small boy from Lingzya to her house at Bey. Her brother, a saw puller (I have forgotten his Name) who was working at lower Dzongu, had also come to his house. When the earthquake occurred, the brother-sister duo was preparing Momo for the evening. After a few seconds of the earthquake the mountain above their village fall down with a huge spark (possibly occurred due to rubbing of the rocks) and swept the house of Lakit leading her to bury inside the debris of her house. Her smiles, her happiness, her containment and cheerfulness were also buried along with her in the wreckage of her house. The small boy, who accompanied Lakit on her way to Bey, fortunately was at another house where a Puja was going on. The second house remains untouched and many other villagers of Bey survived. After hearing this account about Lakit, I decided to meet the surviving members of her family. They had come to Bey to lift Dhaja in the name of those who lost their lives in the catastrophe of September 18th. Her surviving family members (I did not have the courage to ask their relation with Lakit) cried in front of us while telling about her. The family has lost almost all of its members. Five people including Lakit lost their lives at Bey. 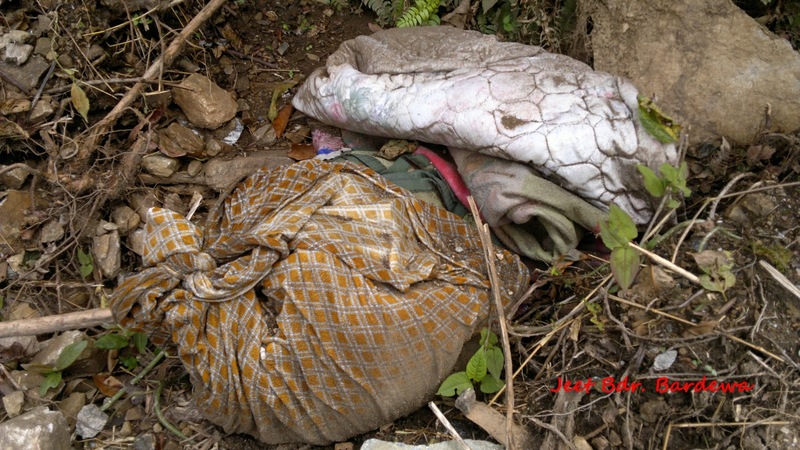 Three bodies had been recovered, but they could not find the bodies of another two people. After hearing about the untimed and a most unfortunate demise of Lakit, every person in our team got tearful. The account about the smiling daughter of Bey is not an overstatement as we have been hearing; it is undeniably a heartbreaking fact of the September 18th. I wanted to acquire more information about her from Lingzya. After our arrival from Bey, I met a student of Lingzya Jr. High School and asked her about Lakit. She told me that Lakit was her senior and was a pleasant and a kindly girl. On 8th of October, we left Lingzya and proceeded towards Singtam for Namchi. Everybody in our team was silently praying for the soul of the Smiling Daughter of Bey to rest in peace.